Over the last two centuries, unprecedented progress in material conditions and technical and scientific knowledge have made us richer, more educated, and more free. But are we also happier? 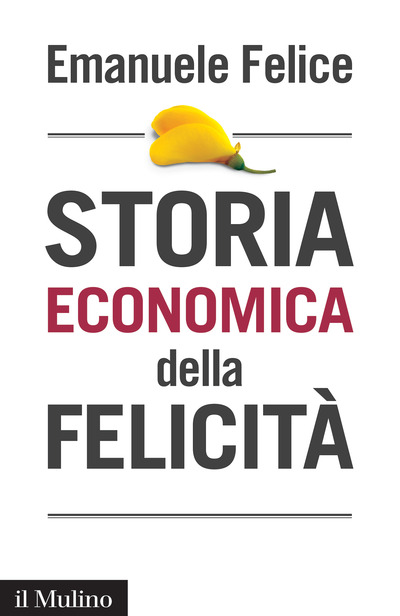 This book traces the history of the relationship between economic development and happiness. Over the course of human history, from the appearance of the first Hominids to the present day, there have been three major revolutions, that is, economic and cultural transformations that have changed our way of producing, thinking, and living... and our notion of happiness. After the “Garden of Eden” populated by hunters and gatherers, the agricultural revolution placed happiness beyond earthly desires and life. The industrial revolution made happiness possible as a result of human policies and actions. Finally, in today’s “global village”, two ideas of happiness have emerged: hedonistic happiness and ethical happiness. Although they may seem opposed to each other, they are not irreconcilable; perhaps a synthesis is possible. Emanuele Felice teaches Applied Economics at the Gabriele D’Annunzio University in Pescara.